Mice are small rodents, resembling diminutive rats. They usually have pointed snouts and small ears. 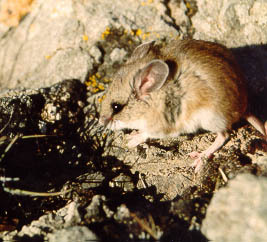 The body is typically elongated with slender, usually hairless tails, but different types of mice show large variations. Body dimensions vary considerably by species, though some approximate values are available: total length 28-130 mm, mass 2.5 to >34g. © Copyright 2019 Northwest Pest & Termite Control. All Rights Reserved.